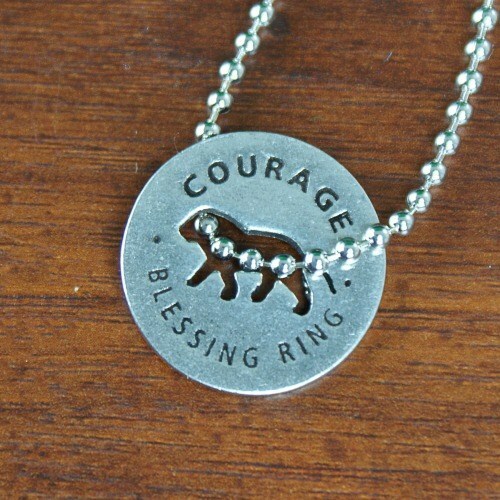 This pocket size courage token is inscribed with a big and powerful blessing that reads, “The Heart Of A Lion” on the backside. This Awareness Jewelry encourages strength and power and gives inspiration to never give up hope. Choose to keep this token safe in your pocket or stylishly display it from our optional tear drop key ring or 18” ball chain necklace. This token is individually hand-crafted in recycled, lead-free pewter, the center outlines a symbol to reflect the sentiment. Made in the U.S.A.